Whether you’re planning a flowerbed or a treehouse, get pinning your ideas onto a garden themed board. You can use both Rightmove or Pinterest itself to find beautiful homes to inspire you, and also get onto websites, like B&Q and Homebase, and pin products you might buy at a later date – to keep all of your ideas and prospective products in one place! See some of our favourite ideas here. Planning to upcycle your furniture, make an old bed frame into a bench or even just make some home-made bunting? The sky’s your limit so pin away on all of the Buzzfeeda article and hack guides you can find on Pinterest! Then once you’ve done all the hard stuff, you can add those quirky little touches. See some of our favourite ideas here. If you’re lucky enough to have a spare room in your new home, you might want to incorporate a few passions and needs into one mega all-needs-covered spare room! See some of our favourite ideas here. As in your garden board, browse the furniture stores and pin different sofa suites, your wooden furniture sets and garden furniture sets in line with the rest of your décor. If you’ve just moved in, we understand you might be a bit strapped for cash – so why not make a ‘save for later’ board where you can plan all the dream features you don’t have the time or money for right now but you might integrate later! See some of our favourite ideas here. From great home-made dog toy ideas to how to decorate your children’s den so they haven’t grown out of the theme by winter, pin a board for your little friends. It’ll help you match everything in there and give you lots of creative ideas so you can get DIY-ing yourself. Most importantly, it’ll stop you splashing out little and often on all the treats you buy them and help you organise their space, instead of impulse-buy (we know you too well!!). See some of our favourite ideas here. We don’t all have lots of space in our new home but that doesn’t mean we can’t get Pinterest-busy creating a homely little space that fulfills our needs. You’d be surprised how many hacks there are to make the most of your space – so get yourself a board to collect them all before you start decorating. Planning a DIY project in a specific room? Make a board dedicated to that room and whether it’s the nursery, the bedroom or the kitchen, you can pin all of the wallpaper patterns, furniture and equipment needed for the room in one place to make sure they match. This will save you two hours running back to the John Lewis returns counter when you accidentally buy five different shades of a colour for one room! See some of our favourite idea, by room, here. Once you’ve done the hard work and got all the basics covered, it’s time to indulge! Get on the hunt for cushions, bunting, plants, ornaments and more, to spruce up your new look! One last job – once you’ve sorted the home, you’ll want to get out exploring the local area so have a root around for local parks, pub gardens, attractions and close-by towns you want to visit and you can work your way through them at your own leisure. Well, there’s the 10 Pinterest Boards you need in your life! From pre-planning, to DIY, to finishing touches, to getting out into the local area, make your home move as fun and easy as possible by keeping all of your ideas together in one place, with Pinterest. You get to drink champagne (with a valid reason). You get that satisfying feeling once you’ve unpacked and put away everything (you legend). You have a reason to make a cardboard box fort. You get to buy new decorative items (and give in to that cushion addiction). It’s completely acceptable for you to sit in each room for prolonged periods of time with a cuppa, just looking around, and nodding. Well done you – this is all yours. You’ve finally found that item you packed months ago and had accepted you just wouldn’t see again. You can play on Pinterest for hours and have a good reason for it. It’s an excuse to go through all your mix-match cutlery and buy new sets. You have never looked at the Ikea website this much in your life. It’s a good excuse to get all your friends round for a house warming. It’s an amazing chance to declutter. You’ve just gained some new friends in the form of your neighbours. You get to buy XXL bags of Daim Bars when you visit Ikea. Which will happen several times. By which time you’ll be addicted to Daim bars. You’ve got a new hobby to talk about with your partner, friends and family and this one is ever-changing and evolving, depending on how DIY-happy you get. Finding a new cupboard or storage space makes your heart soar , every time. Best of all, once all is said and done, boxes are unpacked and binned and your house is looking lived in, you can sit down, breathe a sigh of relief and know you don’t have to do that again anytime soon! You may have heard a lot about stamp duty and the changes that have occurred in 2016. 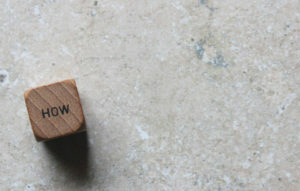 You may be thinking why talk about stamp duty now, is this not old news? And you’re right, however not everyone is aware about the recent changes of stamp duty. But let’s rewind a little, what is stamp duty? Firstly, stamp duty is the shorthand reference to Stamp Duty Land Tax (SDLT). It’s a form of tax that is paid when you purchase either a property or land over a certain threshold across the UK (except Scotland, but we will cover that later on). If you are purchasing a residential property, the current threshold is set at £125,000, but if you are purchasing a non-residential property or land the threshold is £150,000. Let’s firstly look at a bit of context surrounding why these changes occurred. The old system also known as the slab system was tax paid on the full value of the house. In December 2014 it was agreed to have a progressive system in place rather than the slab system. Below is an example explaining the difference between the two different systems. Let’s say you wanted to buy a property valued at £450,000 under the old system, you would have to pay 3% on the whole £450,000 as this is the percentage bracket this house price was fall into. So the total tax on the old system you’d have to pay would be £13,500. Below shows the old systems different percentage brackets. So the total amount of tax you’d pay on the new system would be £12,500 which is £1,000 cheaper than the old system. The different percentage breakdown for the new system is shown below. Up to £125,000 – 0%. Over £125,000 to £250,000 – 2%. Over £250,000 to £925,000 – 5%. Over £925,000 to £1,500,000 – 10%. 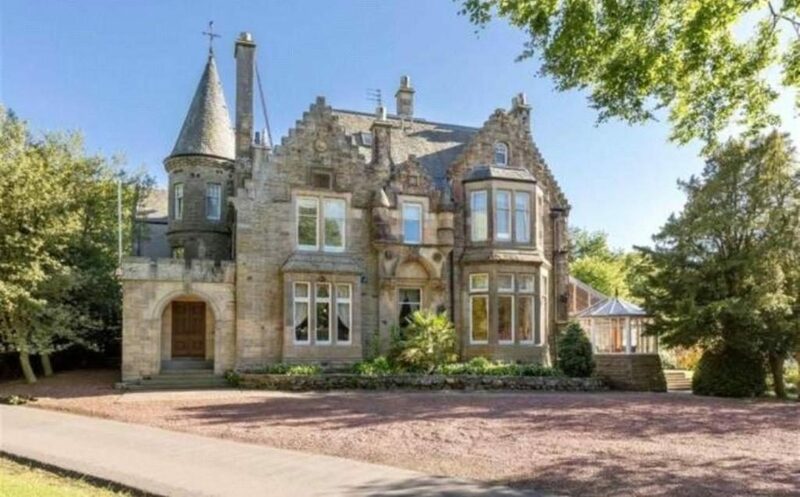 Stamp duty in Scotland is slightly different, since the reform (April 2015) there is no such thing as Stamp Duty and Land Tax, instead it is now called the Land and Buildings Transaction Tax (LBTT). The way the Land and Buildings Transaction Tax works is similar to the rest of UK as it is still a progressive tax. Below are the current rates for the LBTT. 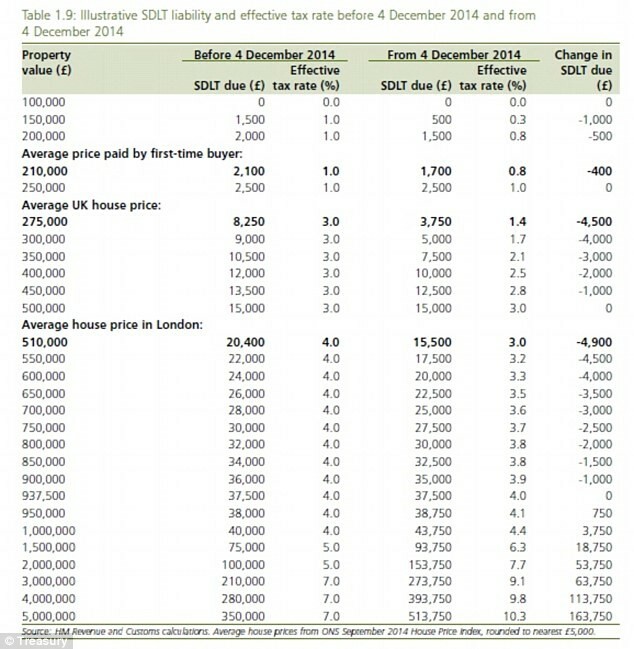 Below is a table giving you an idea of how Stamp Duty was before and after the change. Up to £125,000 – 3%. Over £125,000 to £250,000 – 5%. Over £250,000 to £925,000 – 8%. Over £925,000 to £1,500,000 – 13%. Now with this new rates you are probably thinking how can I reduce it and in reality there isn’t much that can be done, however it is worthwhile consulting the Consultation Summary on stamp duty. 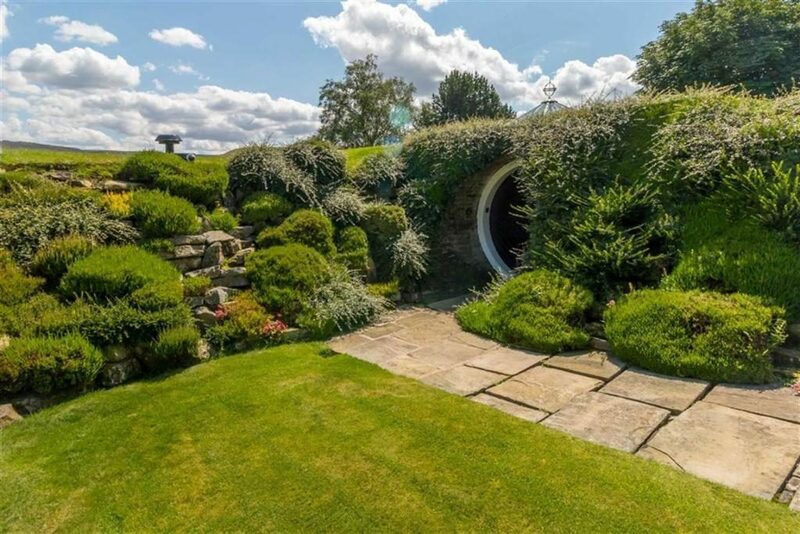 First up is this gorgeous home which, at first glance, just looks like a grass mound but, on closer inspection, reveals a hobbit-sized door and some pretty lush interiors. 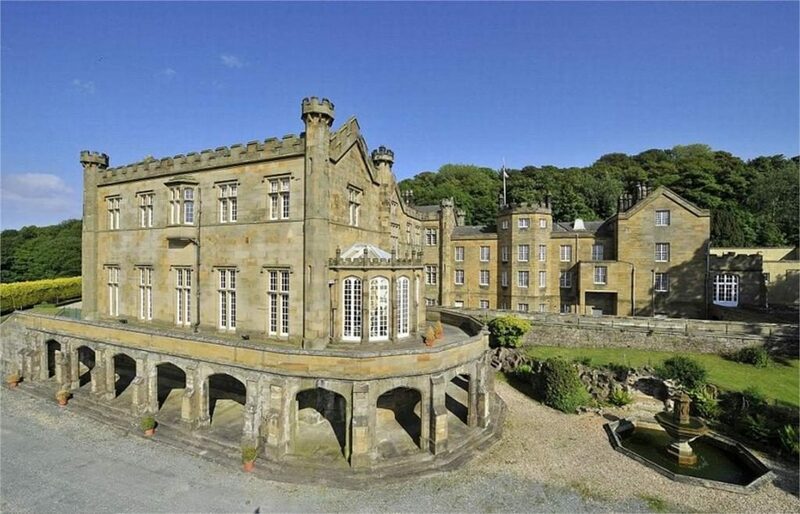 Being a beautiful, lavish abode, we’re shocked at the price – so maybe we’ll be making the move up north! 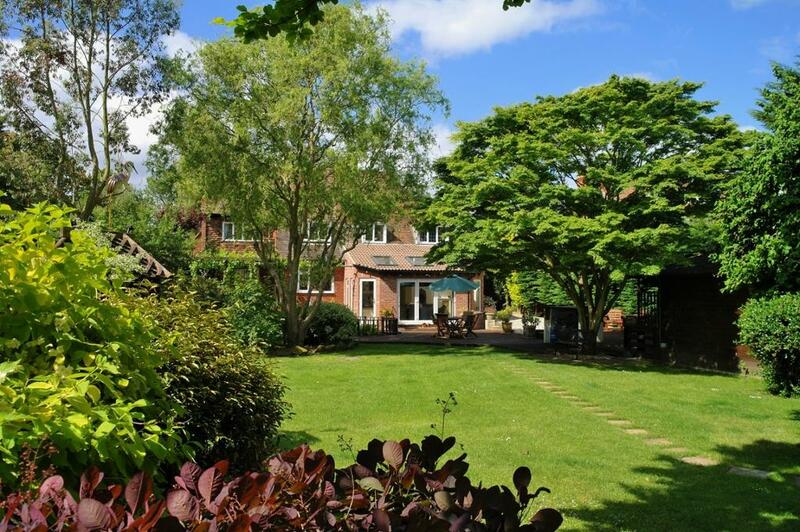 Next up is this stunning Surrey home. 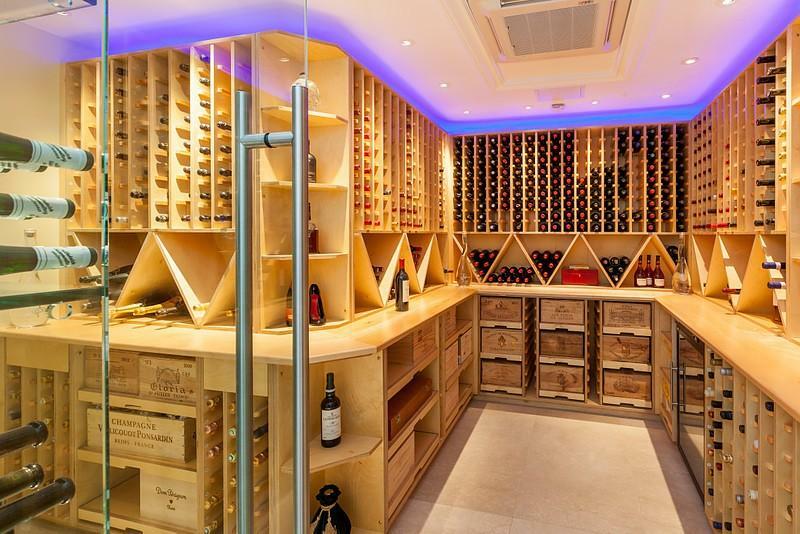 With seven bedrooms, a cinema room, beauty salon, gym and wine cellar, we’d never need to leave this home. 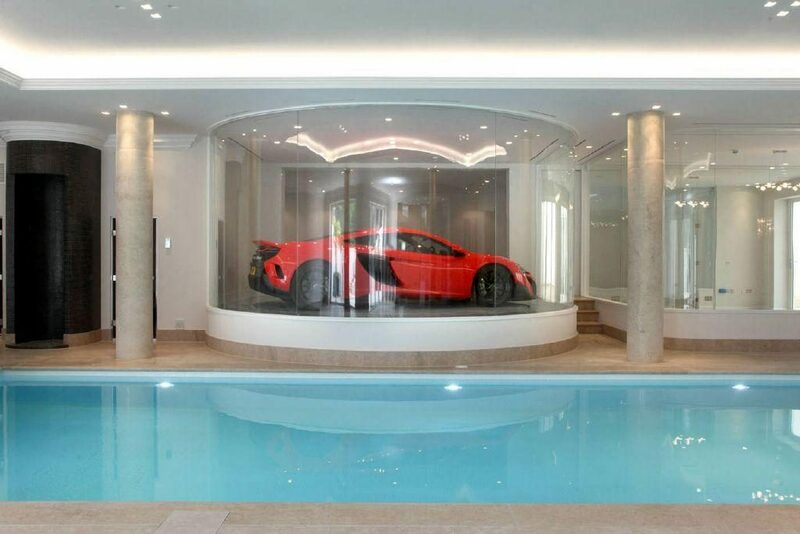 What we can’t get our head around, though, is why the elevating garage goes down to the pool? Phew – the minds of the rich and famous eh! 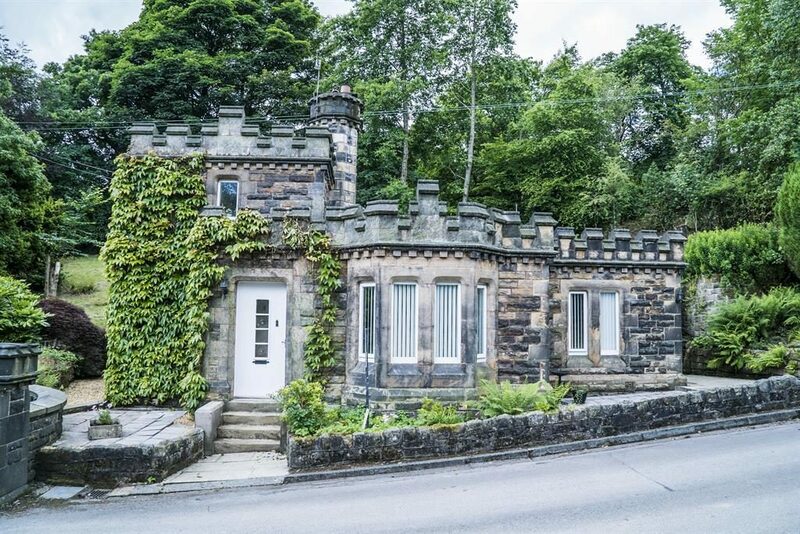 Step back in time with this mini castle in Todmorden in The Pennines. With views over the town and the gorgeous local scenery, you’d definitely feel like the king or queen of this beautiful home! Any Harry Potter fans? 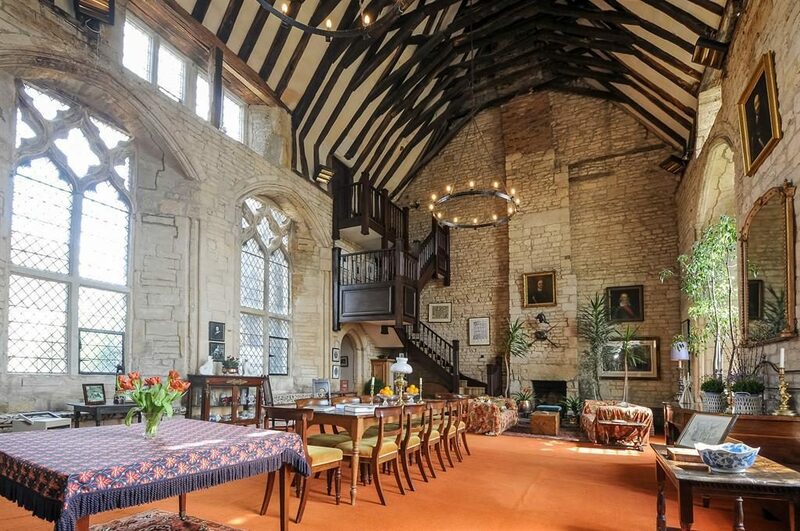 Recreate dinners in the Great Hall in this incredible Peterborough property! 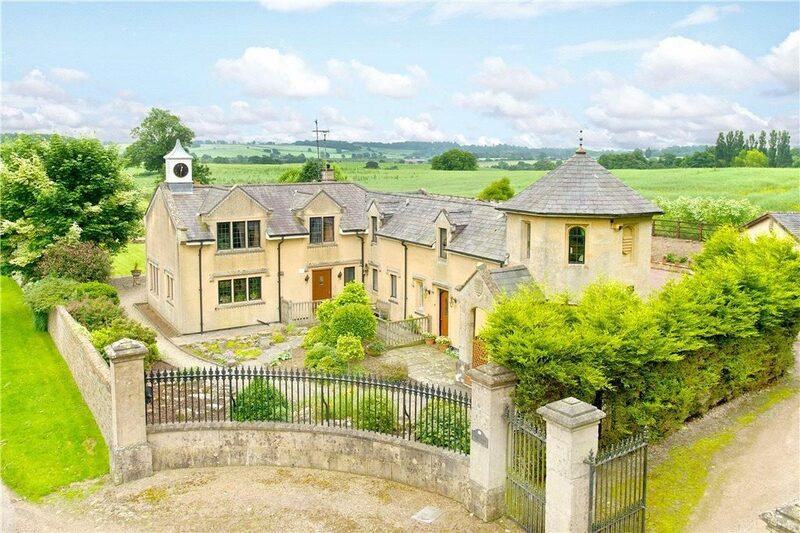 The gorgeous Grade I Listed £1.6m manor boasts links to Oliver Cromwell and a gatehouse, keep, stables and privy of its own – woah! 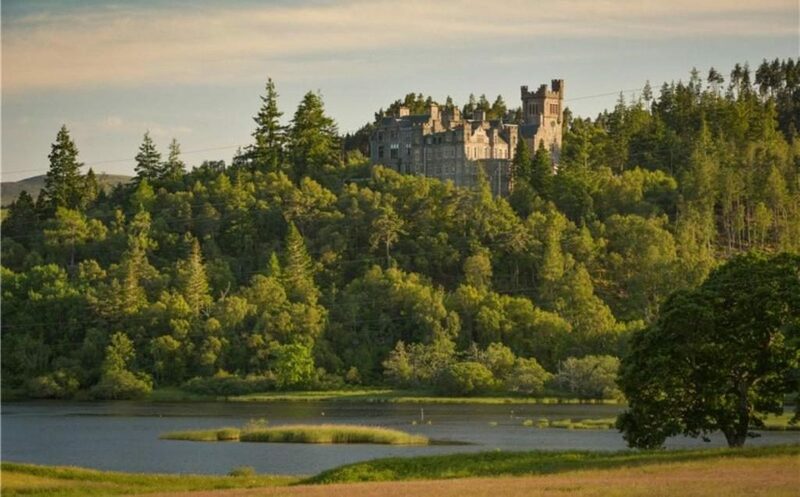 This beautiful castle sits magnificently by this Inverness lake. 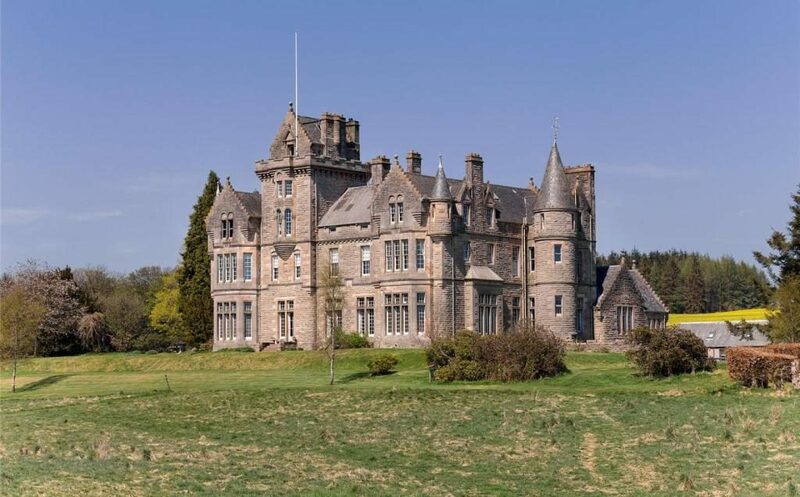 With 40 bedrooms, a grand hall, a ballroom, a billiard room and a drawing room, the castle has a pretty cool history – being built in the early 1900s and believed to be the last castle built in Scotland. If you’ve got a spare million knocking around and you’re a lover of the sunshine, this Dubai dream home might be just what you need! 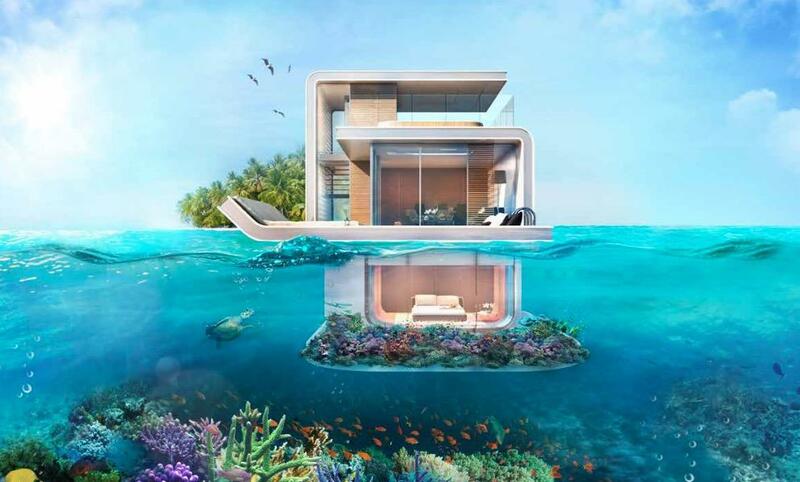 Like nothing we’ve ever seen before, this floating home listing shows the builders in the process of fitting this property just off their coast… Watching the fish from bed? We’re so in, it’s unreal. 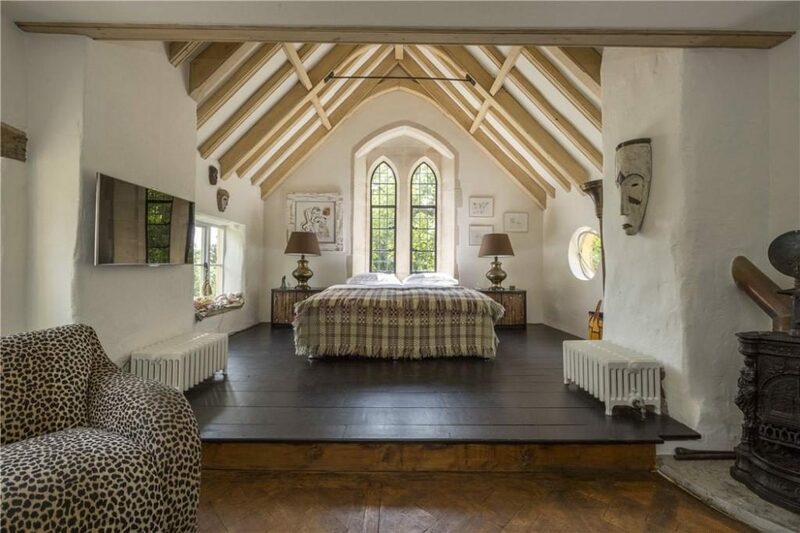 Last off for this month’s amazing and unusual properties is this charmingly converted Chapel. 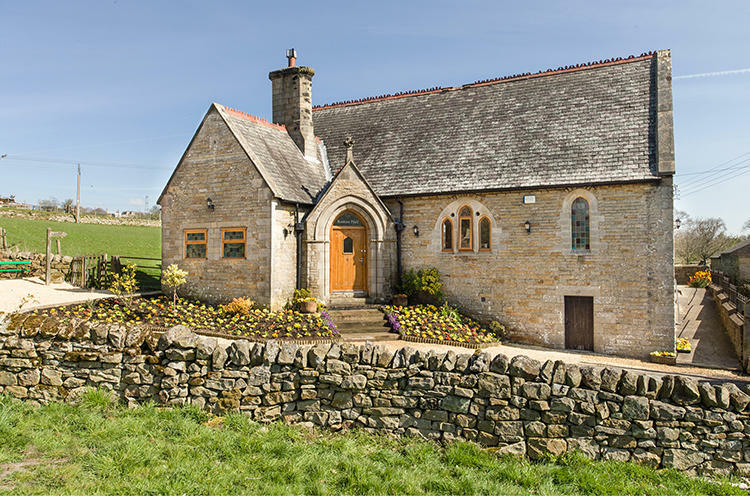 Like something out of a fairytale from the outside and classically decorated inside, this is a gorgeous home for a young family in Northumberland. 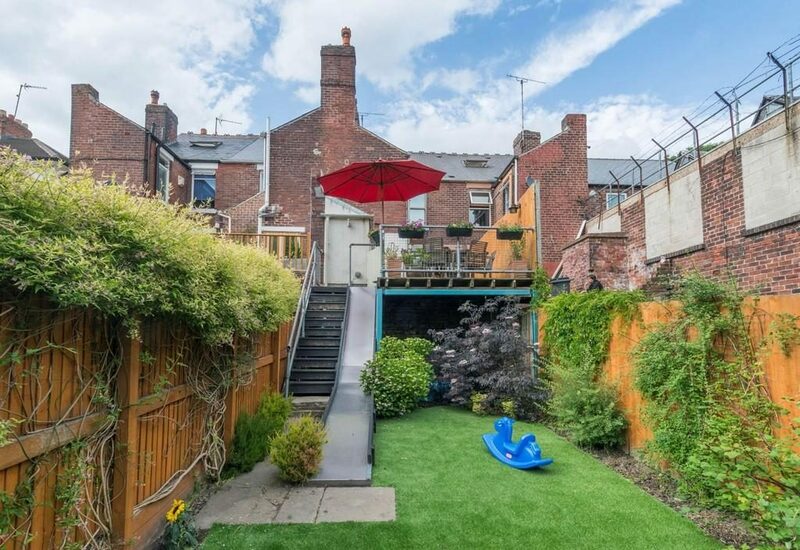 Seen any unusual properties on Rightmove? Share them with us over on Twitter @Rightmove with #topoftheprops! Do I need to tell a landlord I’ll be moving in my pet? If it’s specified in your contract that you aren’t allowed pets then you must ask your landlord before you move in. If it isn’t mentioned anywhere in the advert or in the contract, it’s still definitely worth telling them as it may mean changes to the contract wording and deposit amounts if they agree this is ok. If my contract says ‘no pets’, that doesn’t include little things like a hamster right? Clarify this with your estate agent – usually they are most concerned about dogs and cats, so it’s worth asking! If they say yes to your pet, make sure the contract is amended to say so, to protect yourself as a tenant. If I get a pet whilst living in a rental property, do I need to do anything or tell anyone? Yes, you have an obligation to tell your landlord because if it was in your contract that you weren’t allowed pets, you are breaching your contract and the landlord can have you evicted. What if my pet damages a part of the property? If your pet accidentally damages part of your property, this is your problem and will come out of your deposit. Make sure you tell your landlord at the time and don’t try to DIY the problem as you could end up being charged even more, when you’re moving out, if you do a botch job! Can the landlord make me pay more deposit if I have a pet? 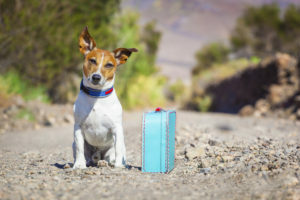 Yes, if you have a pet, your landlord may see you as being more likely to damage the property and may amend your contract for a fee, and ask for more of a deposit. What if the Rightmove listing doesn’t specify anything about pets? Then ring or email the agent and ask! It’s better to know now than when you’ve paid all of the estate agency fees and then you read the contract which says ‘no pets’. Save yourself the hassle and ask upfront. Don’t get caught short when you’re renting with your pet – make sure you take all the right steps in making yourself a happy home with a happy pet – good luck! Home may be where the heart is, but adding personality with your own creative input is the key to settling into a new house. An imprint of your identity is what transforms a building into a space that you love – so whether you’re buying your forever home or moving into a short-term rental, adding a personal touch will make all the difference. Once your stamp is added to a property, you can set about creating memories that will last a lifetime – that’s why in this post, we’re bringing you a handful of hints on how you can inject some personality into your interior décor. Settling into a new property can take time – but with your home comforts at hand, the transition is likely to be that much easier. From pets to photographs, make sure you know exactly where and when your most important possessions are being moved. Once these are unpacked in your new building, you’ll begin to feel at home right away – surrounded by the things that mean the most to you and your family. You don’t have to be a budding artist to create a masterpiece in your new property. The beauty of art is that it’s all about perception – and your new blank canvas can be decorated as you see fit. There’s no need to spend a lot of money putting your stamp on your new home. From getting the kids involved to experimenting room by room, find ways to inject some colour and personality into your property and you’ll soon start to feel right at home. 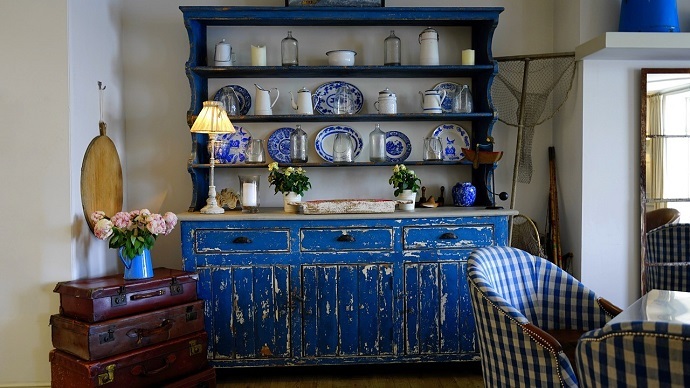 Whether it’s shabby-chic or antique, rustic styling is right on trend. It can be tempting to furnish your new property with sparkling new suites – but whether you’re seeking vintage style or just looking to cut back on your budget, why not start with the furniture you already have? Forget soulless flat-pack furniture – pick your favourite pieces of furniture or scour sale-rooms for some pre-loved bargains and set to work. Create the restoration look yourself with a pot of matt finish furniture paint and embark on a project the whole family can take part in. As a homeowner, you have complete liberty over your creation – so whether your ideas are big or small, they’ll bring you one step closer to building a home that’s perfect for you. From geometric prints and bright and bold seat covers to indoor gardens and handmade door curtains, there are a number of ways to breathe life into your new property. In the world of renting, personalisation doesn’t mean you have to kiss goodbye to your damage deposit either. While most landlords opt for neutral hues throughout their properties, you can accessorise as you see fit. If you want to add colour to your walls, check with your landlord before you go ahead. As long as you leave the property in the same condition you found it, most landlords will be happy for you to put your stamp on the place. While an extensive remodelling might be on your wishlist, it’s likely your budget has other ideas. Start off simple by upgrading and improving room by room. Decide what you love about each space and what you’d change – then spend some time coming up with low-cost ways to overhaul each room. From sprucing up your bathroom taps to adding large rugs into rooms with laminate flooring, it doesn’t have to cost the earth to make each room a space you love spending time in. Pegasus Personal Finance provides affordable finance options for property owners looking to carry out home improvements. Whether it’s for a kitchen-extension, conservatory build or loft conversion, Pegasus Personal Finance offer a wide range of personal loans to suit every borrower’s needs and circumstances. 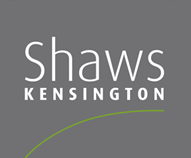 As an estate agent with an long-standing reputation in the sector – with 98.4% of our managed lettings properties experiencing no void periods – Shaws Kensington always keeps a watchful eye on the London markets so that we know how best to serve our clients. Over the years we’ve noticed a few shared factors amongst our most successful London buy to let areas which we’d like to share with you today. What differentiates your chosen buy to let neighbourhood? Is it positioned along a commuter belt? Is the area well connected? Are there transport upgrades nearby? How has the market fared aftershocks to the economy? The more knowledge you have, the better the chance of purchasing a worthwhile investment. If an area is popular now, chances are that it is either in the midst of regeneration or it has been a hotspot for quite some time. A dense population is one measure of a healthy buy to let market, the other is an available high street advertising platform with high footfall to promote your property. As a prospective landlord, you need to consider each stage of the process, from buying the property to filling it over the long term. Property outlets that are sandwiched between prominent transport stations in London, which experience continuous high footfall throughout the year, are best placed to advertise local privately let properties so be selective when choosing your property agent. Not every property sector has felt a pinch this year. British universities have increased construction spending by 43% to expand campuses, and construction contracts worth £2bn have swapped hands for planned projects between 2017 and 2020. The sector remains positive and is ready to accommodate growth since the cap on the number of undergraduates entering university has been lifted. English-speaking countries still have the edge in the student housing sector, but while developers increase their efforts to provide luxury student accommodation – particularly within London – to chase the best yields, existing housing stock waits in the wings to provide shelter for students leaving university-funded housing options. Tap into this market by choosing an area with an existing student population, a low crime rate, plenty of bars and pubs, and of course education institutions around the corner. There are two ways to make money from a privately let property: rental yield and capital growth – the combination of the two make up the overall annual return. Based on this formula, London retains its position as the best city for annual returns, with a rate of 18.2% in the year to March this year. West London property areas like Brentford are on the rise with regeneration in the pipeline, while average rental yields of 7.4% has promoted parts of East London this summer. Capital growth can be hard to predict, but there are a few indicators of growth potential: areas which have a high population of younger people in their 20s and 30s will inevitably experience fast price growth; the local high street is up-and-coming, with plenty of independent restaurants and shops to satisfy local renters; and areas which aren’t teaming with estate agents on every curb. 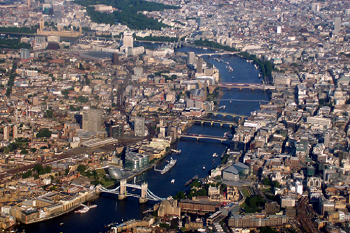 Call now on 0207 3869996 to find your perfect buy to let property in London. If you’re home has been valuated incorrectly or you’ve simply overpriced, buyers will be deterred from requesting viewings. A lack of lighting can cause a home to seem dull and a little uninviting. Finding the right estate agent is a tricky task. A substandard estate agent can really hinder your sale if they’re not doing their job i.e marketing, advertising and outreach. Inexperienced or ill-equipped negotiators can easily scare off buyers if they see no room for negotiation on your end. Your kerb is the first point the buyer will see. If it’s below expectations it can affect the buyer’s opinion going into the rest of the house. This is a glorified bragging session, where you’re able to show off the best bits of your home! If they’re not amazed, you’re doing something wrong. While you have no control over your neighbour’s, loud noise emanating from neighbouring properties can be very off-putting for a buyer. Maybe schedule viewings when you know neighbours aren’t around or, if you have lovely neighbours, why not encourage them to pop round? This will ease potential buyer’s minds. If you’ve made clear that you’ll be unable to leave the property for several months, do not expect much interest for several months. 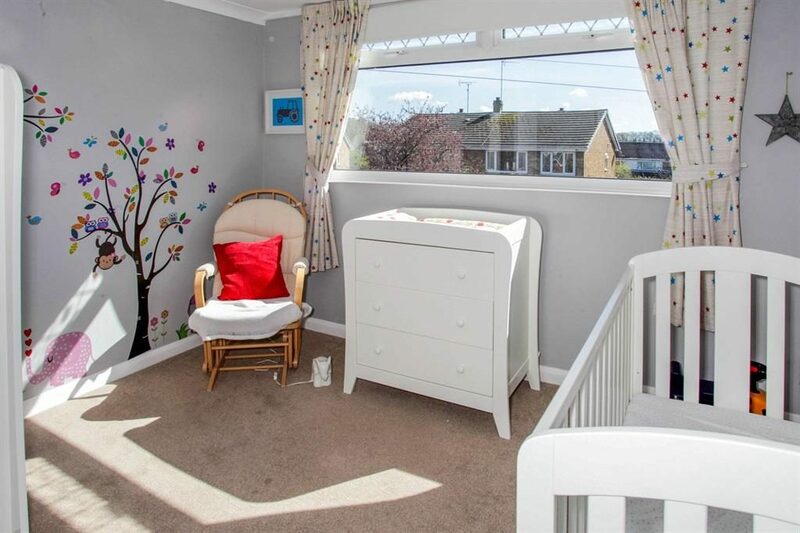 A staged home that is chocked full of personal ornaments, photographs etc doesn’t do too well. Buyer’s want to be able to see this property as their own, not yours. An obvious but strangely overlooked point – clean your home! Every nook and cranny should be spotless. For buyers with children they’ll expect decent primary and secondary schools to be nearby so if there are good one, make sure you’re shouting about it in your listing. Your critters may be the cutest things in the world, but the remnants they leave behind aren’t. The smell and hair left by pets can detract from a house. De-cluttering should be the go-to home improvement for any property looking to sell. Tidiness can drastically change its appeal and help people visualise how the space would work for them. If you cannot make time for buyers, they will lose interest quickly. Respond to all enquiries and if you can’t make a date, schedule another. Evidence of smoking to a non-smoking buyer is enough to turn them away. Try and remove the odours caused by cigarettes. Yes, it’s your estate agents job to advertise your property but this does not mean you shouldn’t! Post your home everywhere and anywhere potential buyers may see it. It’s time to get social media-savvy! Seasonally there are good and bad times to sell a property – the summer being better than the winter – so ensure you’ve chosen the correct period. The images taken of your home for the listing should show a magnificent front-doored beauty – if they don’t, do it again. The crime rate and other factors in your area could deter buyers. While this is impossible to ignore, try appeasing them with all of the positives of your community life. We live in an age where smart devices are a dime a dozen, so if your home is still using old appliances, the millennials will not be interested. Honesty is the best policy. Intentionally leaving out faults within your home, that are then discovered is not only dishonest but illegal. A serious buyer will probably visit your home several times during the selling process. However, their first has to be magical to keep them coming back. Space is the untold saviour in property. A spacious home is a savvy home. Removing clutter and excess furniture can make a home much more welcoming. These are just some small changes you can make to your home to help drive interest in your propert – give them a go and you’ll have the sold sign up in no time! 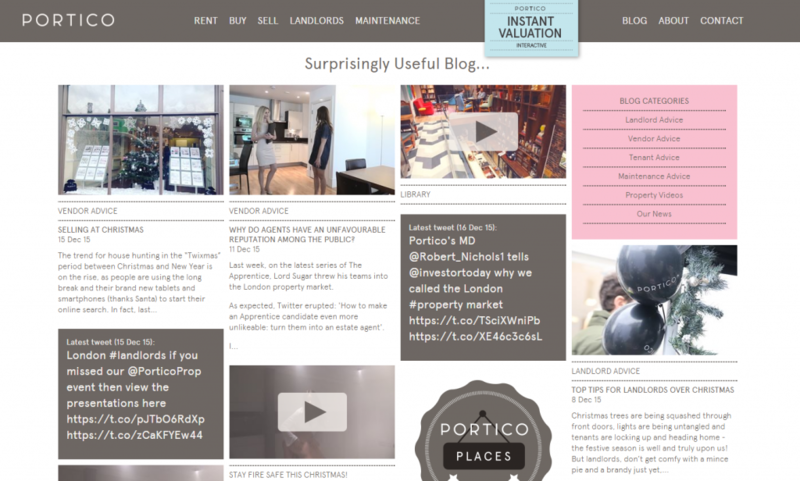 This blog was written by CastleSmart, one of the UK’s pioneers in online estate agency. We have created a platform for customers to sell and let their properties, any time of the day, while saving thousands in unnecessary fees and commission. There’s a lot to think about when moving home and it can feel a bit overwhelming. One aspect you shouldn’t overlook is locks and security. 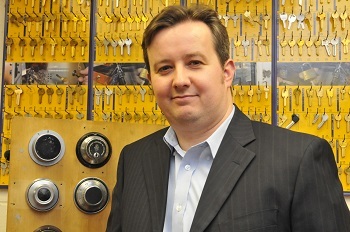 Here, Dr Steffan George, development director of the Master Locksmiths Association (MLA), the leading trade association for the locksmithing profession provides us with 5 expert tips on protecting your new home. This should be a top priority as previous residents, their friends and family, or even tradesmen may still have keys to the property. Yet statistics show that over two thirds of new home owners* do not change the locks on their property when moving in. We would advise contacting your local MLA-approved locksmith to install a patented lock system. These systems prevent keys being copied without proof of ownership, therefore restrict the number of people with access to your property. This will ensure no stone is left unturned with regards to potential entry points. An MLA-approved locksmith can carry out a fully comprehensive security assessment, ensuring you have the correct locks on windows and doors. Not only will this keep your property safe, it also ensures you meet your specified insurance requirements. Your locksmith may also identify any vulnerable areas that require maintenance. 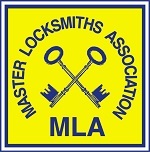 Many MLA licensed locksmiths will complete a security assessment free of charge. It probably comes as no surprise to learn that burglars prefer the cover of darkness – so, installing dusk till dawn lights on your property can act as a deterrent to potential thieves. Consider installing an alarm system, as they can act as a deterrent and stop your home becoming a target for thieves. Regularly changing your alarm code, and only give the details of this to trusted friends and family. If you don’t intend on moving into your property right away – consider using a number of inexpensive, yet effective tools to give the illusion that the property is occupied. Using fake TV’s and timed lighting can be an effective deterrent to those who may have identified your home as a target. Just like darkness, bushes and trees can also entice burglars by providing coverage from neighbours, passers-by and cameras, which is why reviewing external security is crucial. Greenery should be well trimmed and you should take care to avoid it being near entry points. Holes or damage to any fences and gates could be seen as opportunities to gain access to your home too so ensure damage is immediately repaired. Finally, consider installing fences with trellis at the top around your property as a cost effective way of safeguarding your home. Of course, moving into a new property is an expensive time for all new home buyers and you may want to (or need to!) make savings where you can, but don’t make those cuts on security. In the long term it could end up costing you far more than you bargained for. Always ensure you buy high quality security systems that will last and, most importantly, work. We would recommend items that have been independently tested and approved by a certification body such as Sold Secure. To find a locksmith in your area visit the MLA website at www.locksmiths.co.uk. To review a list of independently tested and approved security products visit the Sold Secure website at www.soldsecure.com Security guidelines for domestic properties can also be downloaded free of charge from the MLA’s website. *Information obtained from an article in The Express from April 2015 where 61% of 2,000 adults voted moving home as the most stressful life experience. 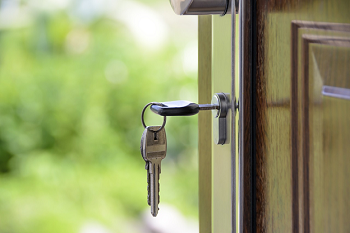 *Statistics from a survey conducted by the Neighbourhood and Home Watch Network found that 86.2% of 6,000 respondents do not even consider changing their locks when they move house. 9 Castles We’d Love To Be King Of! You’re probably lying to yourself if, at some point or another, you haven’t had a fantasy about living in your own fairy-tale castle somewhere in the world, so we’re here to stoke those fires even more! 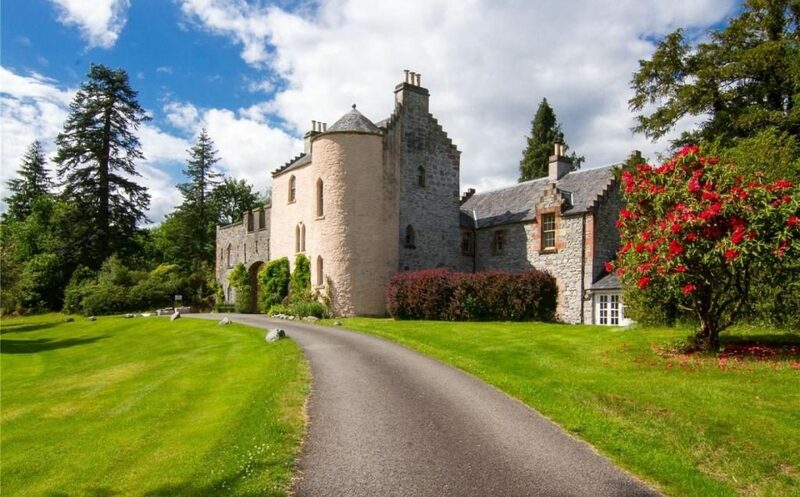 We’ve scoured Rightmove and found some of the most intriguing, beautiful and grandiose castles out there on the market right now. So whether you’ve been waiting for the opportunity to make those prince or princess dreams become a reality or if, like most us, you just want to see that dream home and thing big for the future… prepare to be awed! This 16th century castle is set within 80 acres of its own grounds and boasts a tower, battlements and, of course, a Great Hall. 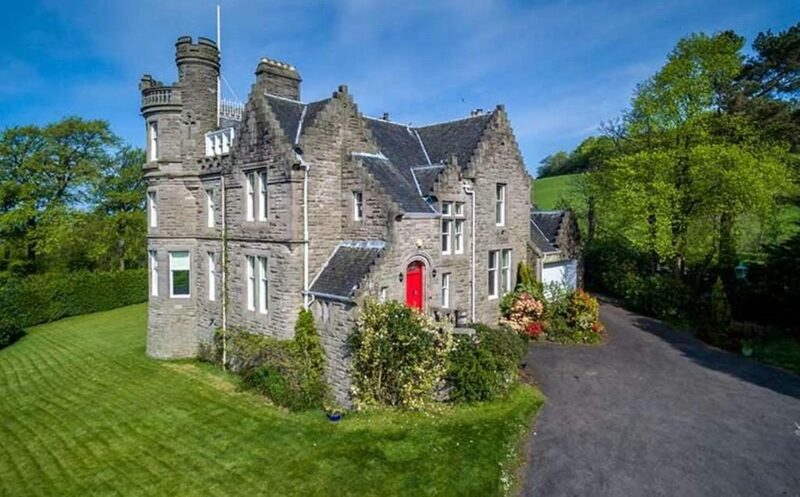 Originally built in 1901, this jaw-dropping building is littered with period features, views of the River Tay and a peaceful orchard. 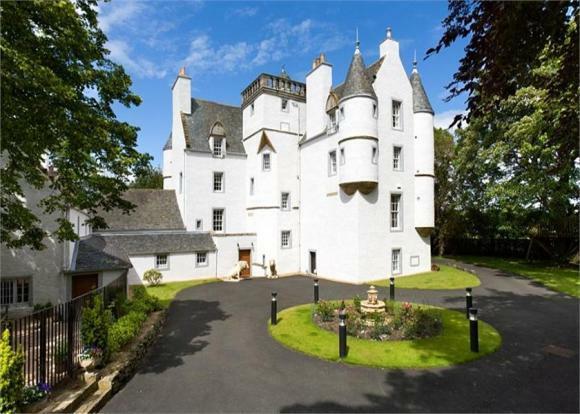 As well as boasting eye-catching gardens and sea views, this castle features 10 bedrooms and two cottages as well. This Victorian country home boasts six bedrooms, three bathrooms and a summer house. Originally built back in the 1800s, this seven-bedroom castle boasts 21 acres of land, a drawing room and its own additional cottage. 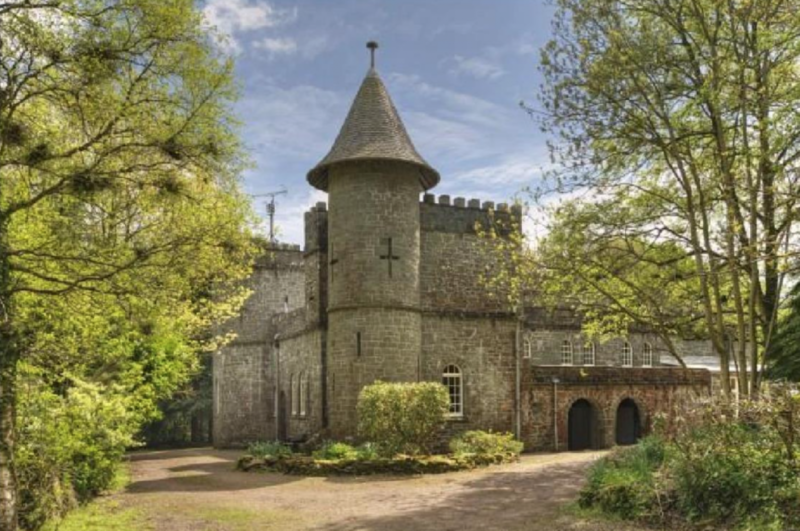 This restored castle is beautiful to behold with just under four acres of grounds, five bedrooms and a magnificent kitchen. 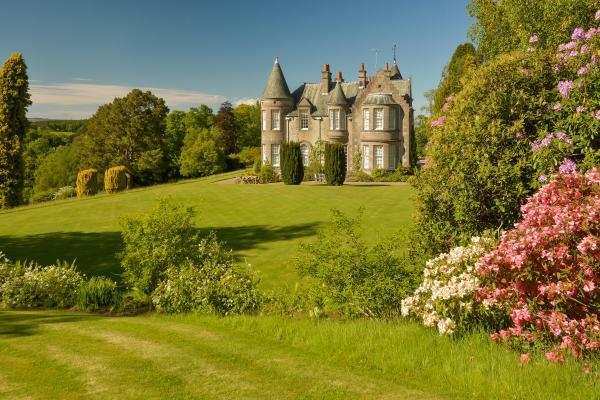 This baronial castle comes with five acres and around 45 rooms, with everything from a pantry and a drawing room to a sewing room and workshop. This majestic building boasts eight acres of woodland and more features than we can possibly list here! A truly exceptional place! 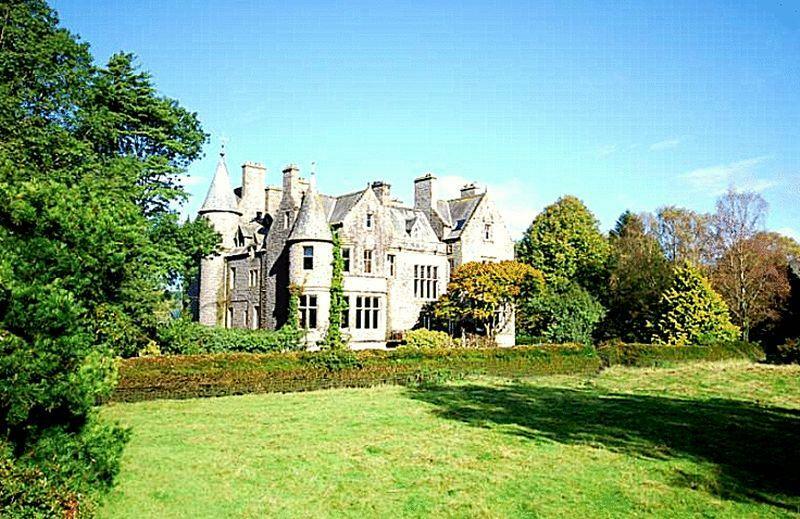 This stunning building comes with two acres of land, a drawing room and its own tower. Of course! Perhaps surprisingly, Christmas is a very popular time of year for moving home. With enough going on at this time of year, the last thing you want is a nerve-wracking move. Moving house is famously one of the most stressful events of a person’s life, when this is coupled with unpredictable UK weather and traffic, you’ll want to do all you can to reduce the stress levels leading up to moving day. If you’ve booked in your move this month and want to get in before Christmas Day, you’ll be pleased to know that there’s still plenty of time to prepare and make the whole experience easier on yourself and your family. 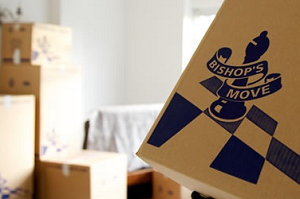 Removals and Storage company Bishop’s Move have pooled their collective knowledge and experience of home removals to produce an infographic with some of their Top Tips for moving house during the Christmas season. The infographic is included below and for more advice on moving home over the Christmas period you can visit www.bishopsmove.com. The seasonal 1.1% (-£3,120) dip in the price of property coming to market this month is the lowest December fall since 2006. It gives a final flourish to 2015’s strong property market, pushing the annual increase up to almost £20,000 (7.4%), and is a strong indicator that upwards price pressure will continue in 2016. 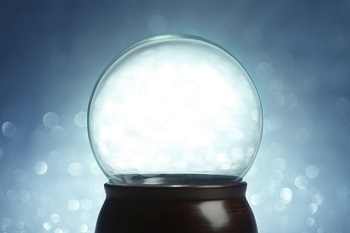 Rightmove’s 2016 forecast is for new seller asking prices to rise by 6%. In spite of increasingly stretched affordability and rising taxation of the buy-to-let sector, there remains a stark imbalance of demand in excess of suitable supply. Rightmove analysis of email enquiries sent by potential buyers to estate agents since the start of October this year shows a jump of 37% compared to the same period in 2014. In contrast to this surge in demand, the number of properties coming to market has fallen by 5% over the same period. Rightmove predicts that Outer London prices will rise by circa 6% in 2016, so looking further north and west may seem increasingly attractive. Analysis of Rightmove data by Dr Alasdair Rae, of the University of Sheffield, suggests that we may see an exodus of highly-skilled workers leaving the capital for more affordable yet vibrant cities such as Leeds, Edinburgh, Cardiff and Manchester. This ripple effect won’t reach all towns and cities and continued stagnation or price falls are likely in less sought-after areas in the north and west of the country, especially if buy-to-let investor activity tails off. As choosier buyers demand easier access to amenities to satisfy convenience and lifestyle demands, expect to see increased price divergence between the more buoyant large urban markets and smaller urban areas that can’t offer the same range of facilities. There are some interesting and imminent dilemmas for several different sectors of the market following the Government’s recent Autumn statement about a 3% surcharge on buy-to-let and second home purchases. Some would-be buyers or sellers may want to move more quickly while others may be better advised to delay their transaction until after the stamp duty changes. 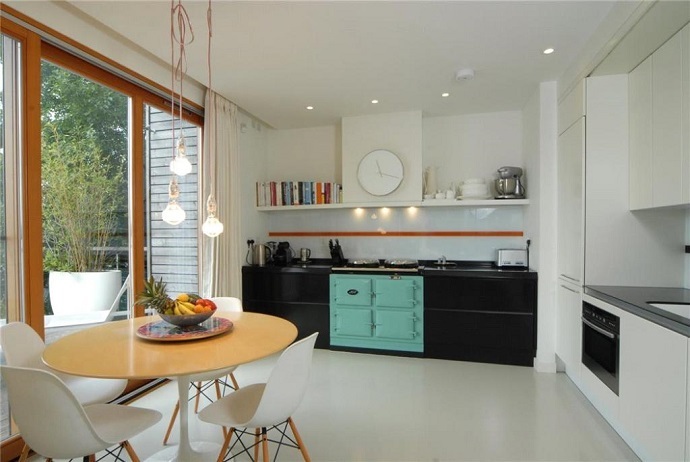 Financially-stretched landlords may also consider early action and look to sell now. While rents are forecast to rise in popular locations to improve their returns, some of the hoped-for increase in capital values may be dented in this sector once the stamp duty changes have gone through. First-time buyers on the other hand may feel the increase in tax levied against buy-to-let investors in this sector will help them to secure a better deal if they delay agreeing to buy until it is too late to complete before the April deadline. This week’s #InspirationWednesday is the market town of Bedford, which is situated halfway between Oxford and Cambridge. It lies south of the Bedfordshire Borough, and this Borough forms the 69th largest Urban Area in England and Wales. 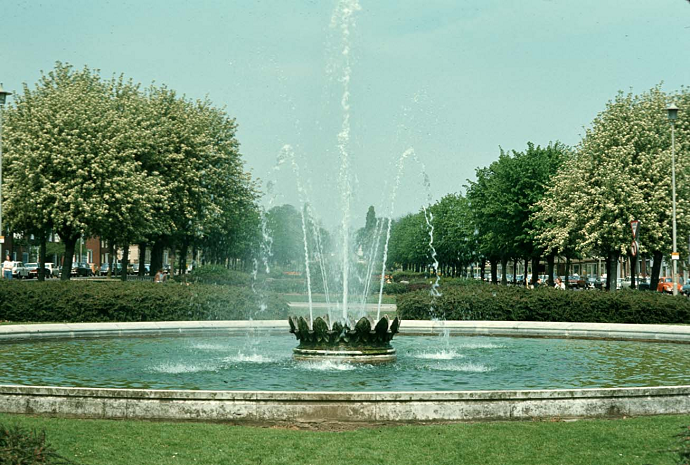 Bedford has been a market town from the early Middle Ages, and its name is thought to derive from the name of a Saxon chief called Beda, and a ford which crossed the River Great Ouse – Bedford’s local river. Later in the 19th Century, it transformed into an important engineering hub, with gas lighting introduced in 1832, and with the railway reaching it in 1846. 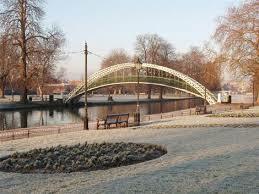 If you were to visit Bedford now, you would find a town bursting full of culture, landmarks, and education. For example, Bedford is home to a number of museums, including the Higgins Art Gallery & Museum, the local Corn Exchange which hosts a variety of performances, concerts and conferences and the town has the largest Sikh Gurdwara in the UK outside of London. Added to this, Bedford is well known for its educational prowess, being the home of Bedford University and Bedford College, whilst having a large number of well-renowned schools, including the Harper Trust private schools. The BBC was based there during WW2. The 2005 film Batman Begins has scenes filmed at the Cardington Sheds in Bedfordshire and features extras from Bedford itself. Famous band One Direction are known to stay in the Swan Hotel in the town centre when they also come to film in the Cardington Sheds. Over the years many famous people have attended Bedford Modern School, including comedian Russell Howard, cricketer Monty Panesar, actor Jeremy Irvine, and members of the band Don Broco. John Bunyan wrote The Pilgrim’s Progress whilst in Bedford, which has sold more copies in more languages than any other book apart from the Bible! 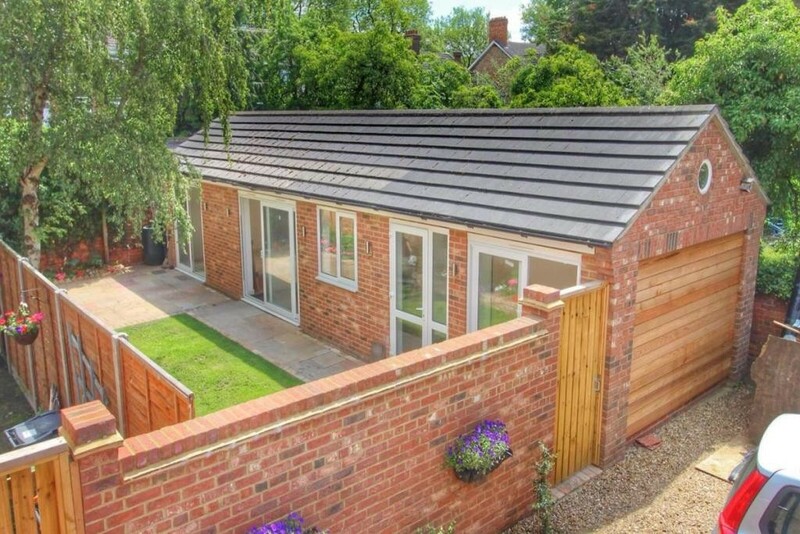 This two bedroomed bungalow situated within walking distance of the train station and the town centre has recently been refurbished and is perfect for anyone moving to the area! This four bedroomed detached house on one of Bedford’s most sought after roads has amazing gardens both at the front and back of the house, and is a perfect family home. 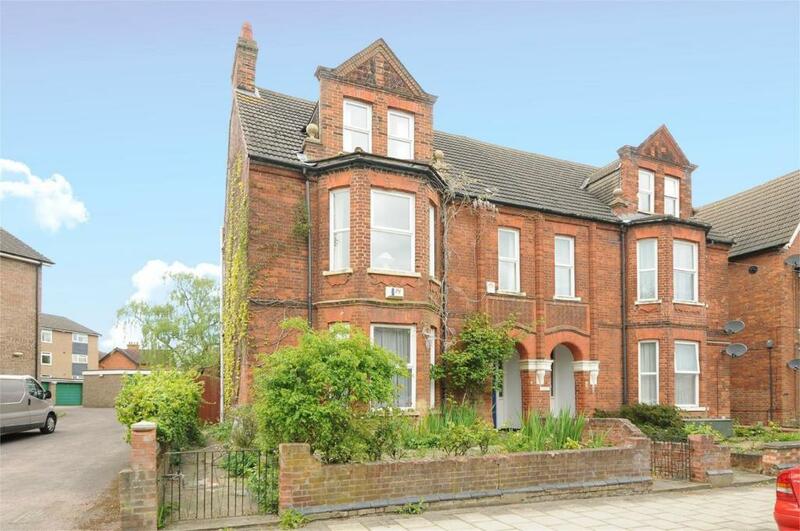 This six bedroomed Victorian property has an amazing three bathrooms and four reception rooms in addition to the bedrooms, totalling 3,500 square feet! 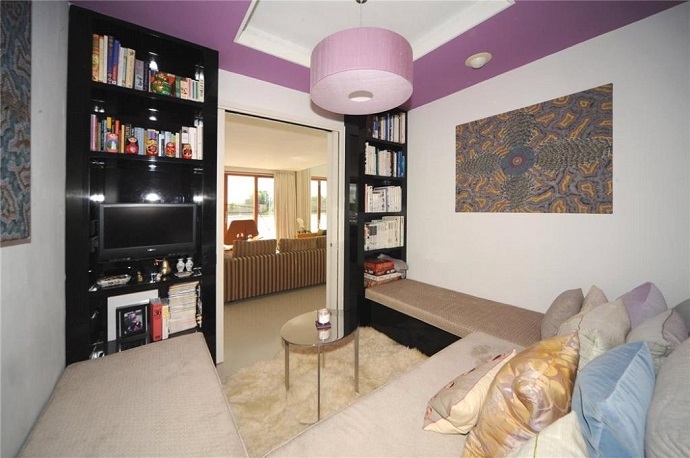 It also has a ground floor cloakroom and a cellar too – perfect for those who want lots of space. Which Christmas Jumper are you? It’s getting darker earlier, there are Christmas trees in every window and Jingle Bells has been ringing around the office for a few weeks now… You’re either belting out Mariah, muttering under your breath about it being too soon, or finding yourself gently tapping your toe along to the beat of the Christmas tunes. Whether you’re fully into the Christmas spirit or more Scrooge than Santa’s helper, there’s no denying Christmas is all around. So, let’s find out, which Christmas Jumper suits you best! Rightmove’s December House Price Index revealed the strongest December since 2006 as Rightmove forecasts 6% rise next year. Our infographic provides a breakdown of how prices are performing across each region and property type. As it’s the end of a wonderful year, we would like to recognise and commend some of the fantastic estate agents who use Rightmove for their hard work in 2015! We’ve asked some of our team members around Rightmove to pick which agents are executing their strategy exceptionally well in a particular area of their business and here’s what they said. We are loving Portico’s blog! There’s brand consistency, live tweets fed into the frame, video content and a simple, enticing layout. They have really taken the time to understand what their visitors want to see and we think it’s paid off! The content is helpful and useful and the layout means the user journey is bound to be extended. 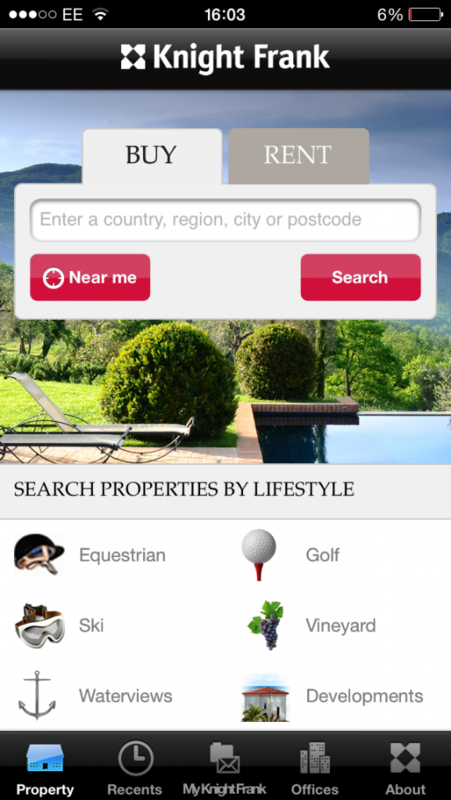 This app immediately stands out because of its unique option to search for properties by lifestyle; equestrian, ski, and golf lifestyles to name but a few! It is also very clear and easy to use, whilst the location optimised features allow you to quickly search for properties near you with ease. Added to this, Knight Frank have included helpful information about their company and alphabetised contact details for all of their different offices. Haart’s channels are warm and consistent. On Twitter, the content is sharable, the tone of voice is personable and they have created clever features to stand apart from other channels and engage with their followers. On Facebook, they have healthy and regular engagement on their content, with competitions, polls, engagement pieces, DIY and homes from their site. 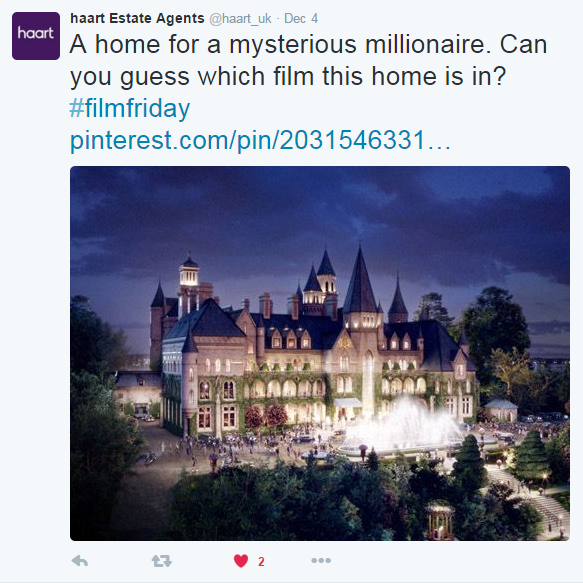 Haart have delved into Instagram and Pinterest with, not only pictures from their site but, dream homes and fun DIY ideas, meaning the pages are smart and engaging. In the spirit of the season, we’ve picked our favourite Christmas Local Homepages! There were tinsel and baubles in every direction and our top two, John Hilditch and Sandersons, were eye-catching, nicely executed and still relevant to the brand, perfect for catching browsers’ eyes! Check them out below. In July 2015, Bath based company Premier Lettings supported a fantastic charity event, ‘Grow-A-Pound’, at local St Stephens Primary School. With funding from the Rightmove Fund, each child at the School was given £1 and challenged to turn it into something more, to put towards building an outdoor classroom for the school. In the end, the original £420 was turned into an amazing £5,247! The children set up fantastic mini-businesses, including cake selling, car washing, and even setting up their own football academy for the younger years to enjoy! Please remember that agents have access to the Rightmove Fund, administered by Agents Giving, which helps with the set-up costs for your charity event. If you’re thinking about setting up a charity event in 2016, no matter how small, why not apply now by clicking here. We’ve really enjoyed looking through the content of estate agents over the past year and look forward to what 2016 will bring! Have a fantastic Christmas all! 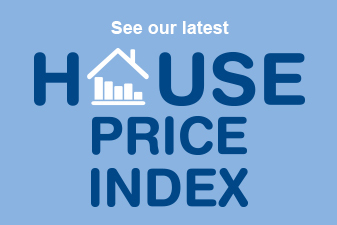 New data out today from the UK’s number one property website Rightmove reveals the hottest property spots in 2015. There were 110 million visits2 from home-hunters each month to Rightmove in 2015, as demand for property hit an all-time high and supply issues in many parts of the country remained. Whilst the busiest month was March, the busiest day for browsing property was actually later in the year on Monday 10th August when home-hunters browsed over 58.6 million pages of property, a common time of year for people to try and find a new home to be settled in before Christmas. 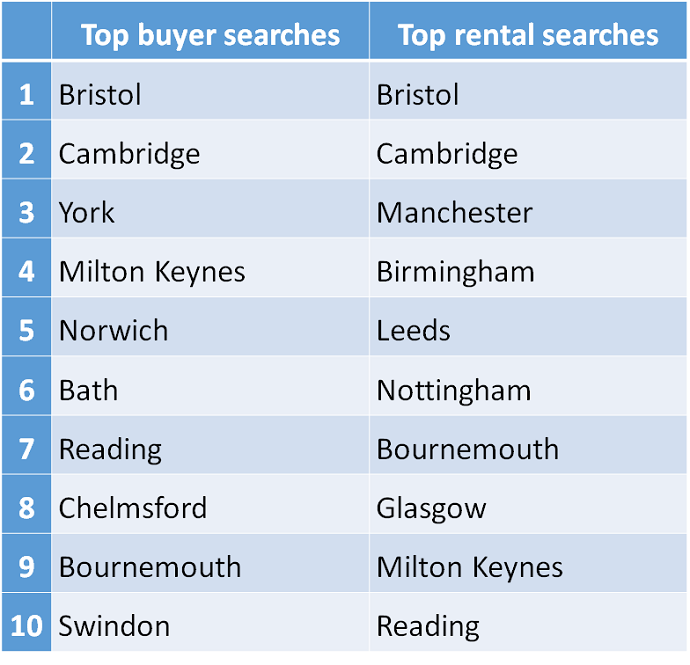 Bristol and Cambridge came first and second for potential buyers and renters searching for property in 2015 outside London, with almost 14 million searches in these two places over the year. York made it into third place for buying and Manchester came third for rental searches. Commuter towns Milton Keynes and Reading made the top ten searches for both renting and buying, perhaps as people looked for more affordable options outside of the capital. Some areas fared particularly well in 2015 outside London, with new seller asking prices in a few locations going up by more than 20%. The seaside town of Margate in Kent saw the price of property coming to market go up by 24.2% to £204,631 between Jan and the end of November, followed closely by Altrincham in Cheshire with a rise of 21.9% to £484,258. The rest of the top five is made up of the towns of Gravesend (+20.5%), Ramsgate (+18.6%) and Dartford (+17.4%), all in Kent. The average time for a property to sell across England and Wales was 62 days throughout 2015. Properties in Welwyn Garden City sold fastest outside London, spending an average of only 25 days on the site before being marked as sold, with nearby Hertford coming in second place with an average of 26 days. Places in the East of England dominate the top ten fastest to sell list, as many parts of the region recorded strong growth. As the year ends, the annual new seller asking price increase in the East of England is 9.2%, recording the same rise as the South East. Rightmove’s housing expert Sam Mitchell comments on the 2015 market: “This year saw demand reach record levels for home-hunters both buying and renting, and the ripple effect from London to the South East moved even further out to places like Essex and Hertfordshire, as you can see from how quick properties are selling in these locations. Usually January is Rightmove’s busiest month but the New Year rush stayed even longer this year, and we recorded our busiest ever month in March. 1 Rightmove data from 1st January 2015 – 30th November 2015. 2 On average each month. 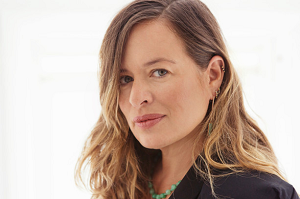 The stunning Cotswolds property created by model and designer Jade Jagger is now on the market for the sum of £1.25million! Complete with chic white walls and white resin floors, this house is perfect for anyone who wants to live and breathe Jade’s effortless style. 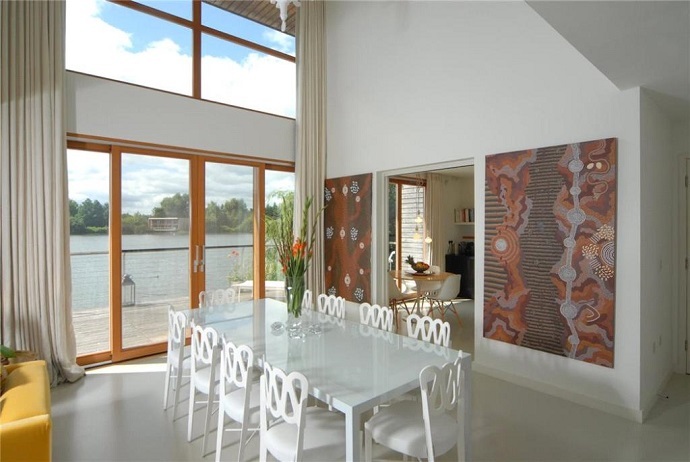 Built in 2008 as part of a new series of homes in a development which overlooks a disused quarry, the house has bags of style and stunning views of the surrounding Cotswolds countryside. The four bedroomed home has a light and spacious feel to the interior, with ceiling height windows which provide the rooms with an endless supply of light. 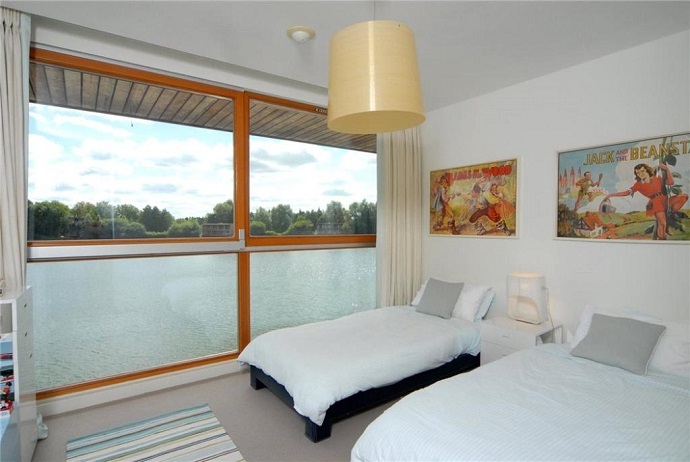 Jade herself described the property as having ‘a sense of theatre’ and an ‘uber modern feel’, something that is clearly demonstrated through the beautiful design of the rooms! And this isn’t the only property in the development with famous roots! 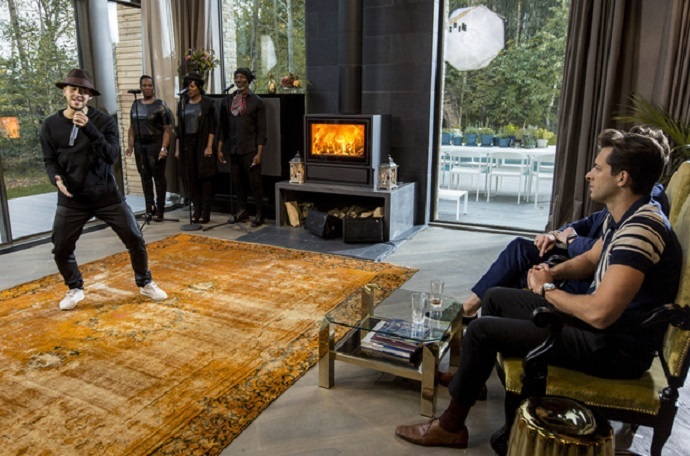 Kate Moss also designed one of the other houses, and Nick Grimshaw used another of the properties for the Judges Houses episode on the X-Factor. All of the properties share tennis courts, a football pitch, and a swimming pool and spa area – you could find yourself exercising with the rich and famous! 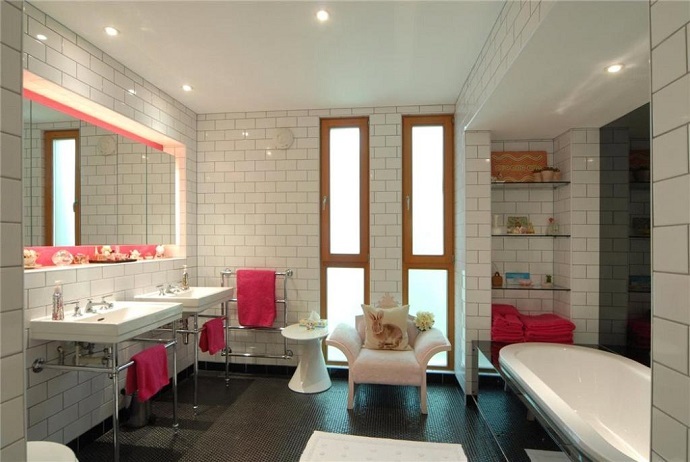 The previous owners of the house have added a few of their own more colourful touches, such as replacing Jade’s choice of white bathroom towels with bright ones, but it still remains largely as it was originally. 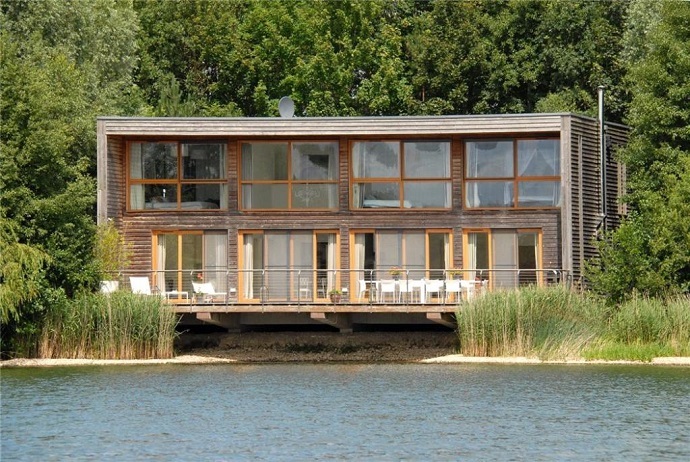 It is now on the market again and is likely to be snapped up fast! So, if you want to get your hands on a model home for the New Year, then check out the property on Rightmove now! Choosing to sell your home is a big decision, and thinking about everything involved with preparing your property for the sale can be very daunting! To help you get your house on the market quickly and easily, we’ve created a step by step guide based on a timeline of ten weeks. You can select the date that you want to start from, and then the timeline will generate a week by week plan for you. It also gives you the date when your property should be on Rightmove by, giving you a goal to work towards! For each week, we have suggested a separate task for you to do. For example, with 10 weeks to go, you should get you budget and mortgage ready, making sure that you know what financial position you are in before you start splashing the cash! By helping you plan your time effectively, the stresses of last minute selling are taken away, and you won’t forget to do anything important! Check out the timeline here.